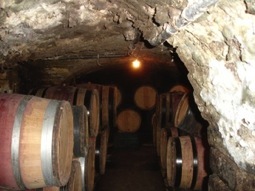 Obtaining an entrée to the cellars of top winemakers in Burgundy is notoriously difficult. Many of them operate on a tiny scale and simply are not set up to receive visitors. Others simply like playing the cussed curmudgeon and, anyway, “We have no wine to sell.” Either way it is worth remembering that an hour spent with a visitor is an hour that could have been spent on a more pressing task in the cellar or vineyard. Cramped cellars and heavily camouflaged old bottles. 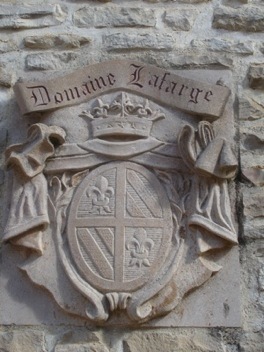 Thus it was only through the good offices of a friend who had worked for Michel Lafarge in Volnay that I secured an appointment to visit the cellar and taste the wines. Lafarge is a quiet spoken man in his eighties, now assisted by his slightly more demonstrative son Frédéric and I unwittingly raised a laugh from both of them by saying ‘Meursault’ instead of ‘merci’ upon being poured a sample. The cellar fits the stereotype perfectly: cramped and gloomy with dark passages leading off in every direction. 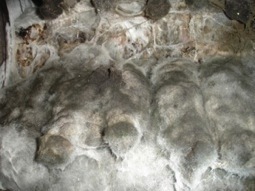 Stacks of old bottles dating back to 1937 are submerged below a mound of mould and fungus. These are reckoned to be amongst the very best examples of Volnay and they can also age superbly. The premier wine is the Clos-des-Chênes but none of the others, including the laboriously named Clos-du-Château-des-Ducs, should be ignored, right down to the generic Bourgogne rouge. 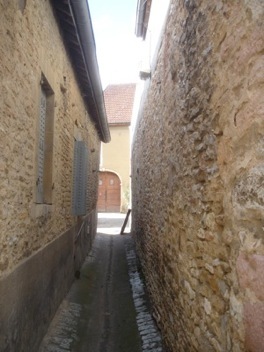 Volnay is a quiet village full of twisting streets and narrow passageways with a lovely old church at the centre. The village and its surrounding vineyards are woven together and it is not possible to tell where one ends and the other begins. There’s a quiet prosperity to the place and heaven knows what vinous treasures lurk behind the high gates and, indeed, under the very streets you walk on.